Tamil Tigers regularly used camera crews to record their battles, execution of captives, terrorist attacks and violent propaganda events. The Channel Four video is about Tamil terrorists killing captured Sri Lanka army soldiers wearing the uniforms of captives. That is why the fairer victims (Sri Lankan soldiers) are naked. The darker shooters (Tamil Tigers) are wearing them! It is no secret Sinhalese are fairer than Tamils and conversely Tamils are darker than Sinhalese. Most Sri Lankan soldiers are Sinhalese and all LTTE cadres were Tamils. This fact goes perfectly well with the video. Most Tamil Tiger terrorists were children and young adults. In the video the shooters look younger than the victims. Army soldiers are a disciplined group of men with neat haircuts and proper attire. Victims in the video have neat haircuts. In wide contrast, the shooters have overgrown hair which is distinctive of LTTE cadres. Victims seem much older than the shooters with their fat bellies and heavy build. It further proves the victims were in fact security forces members rather than LTTE cadres. LTTE terrorists killed scores of captured SLA soldiers and robbed their belongings from uniforms to boots. A careful look into the Channel Four video reveals the uniforms worn by the two shooters are too large for them! No disciplined army wears shaggy uniforms that loosely hang as shown in the clip. It is further proof of LTTE cadres wearing army uniforms that are too large for them. Following is a sensational case of a famous Tamil terrorist supporter wearing the Sri Lanka military uniform possibly robbed from a captured and executed army soldier. Now hideous Tamil terrorists unashamedly use the very same video of them committing war crimes to implicate their victims of war crimes. Once they exploited their victims and killed them; now they use it to discredit their victims. Typical of terrorist groups! However, a large number of LTTE cadres perished in the war. Probably all the LTTE shooters in the video clip are no more or untraceable. As a result a meaningful investigation into the alleged war crimes committed by them is not possible. Special thanks to K Samarakoon [http://gtkisaru.blogspot.com/2011/06/war-crimes-from-sri-lankan-soldiers.html] for invaluable input. Even though the LTTE terrorists in Sri Lanka are destroyed altogether, the international LTTE terrorist is still operating in the same old fashion. They do the only thing they know, i.e. lying, theft, and other crimes. This Channel-4 video is just a continuation of the same modus operandi. Trinco TNA terrorists Saravanapavan does not like Sinhalese living there. 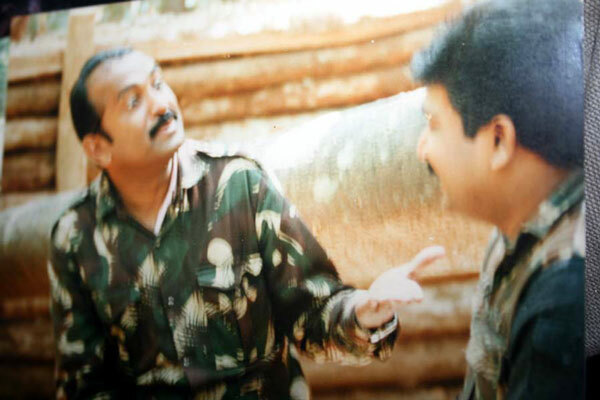 I simply hope that we could have sent all these LTTE/TNA racist bastards to the bottom of Nathikadal with Prabakaran. Don't we have the 22nd division stationed in this area to take care of the LTTE remnants terrorists like Saravanapavan? looks like the 22nd division is just wasting time there without eliminating THREATS TO PEACE. toiletnet has gone mad with plans to build a temple each in every province. in trinco it will come up within the HSZ. i propose it to be built in a predominantly tamil area close to hindu shrines. so that everyone can use this area for their respective religious purposes. a tamil guy promised me to collect all the adventures of the tamil diahreaspora (which will be longer than war & peace by tolstoy i guess!!!) into one website. haven't heard of him since. The Tamil Youth Organisation in Britain hosted Sunday an awareness event for ‘Eezham Thamizh identity’, with an evening of music, drama, dance and poetry. The event, named I'lantha'lir 2011, held at the Walthamstow Assembly Hall, began with the ceremonial raising of the Tamil Eelam flag outside the imposing art deco building, chosen for the quality of the acoustics which make it one of the UK's top venues for recording classical music. The performances opened with instrumental music using traditional Tamil instruments: Murasu, Thappai, Udukku, Changku (conch) and Kompu (horn). Many of the visitors touched or ran their hands through soil from Mullaiththeevu beach placed in a bronze bowl, and encouraged their children to do the same. soil in a bronze bowl elam!!! that is enough for them. these losers are destroying their own children with hate and violence! Moshe, old boy, General Silva should hold another press conference at UN and show our video presentation Amnesty cowards were afraid to see. No free speech in Amnesty sponsored terrorist propaganda events it seems.